Mina Kitamura was born in Osaka, Japan. She received her Bachelor's Degree from Doshisha Women's College in Kyoto. She participated and won numerous competitons including First Prize in the Japan Flute Association Competition, Julius Baker Yamaha Award and Great Wall International Competition. She appeared in the magazine "The Flute" and "Ongakunotomo" where she has been praised for her "cheracteristic beautiful sound and perfect technique". While at New York University, Ms.Kitamura won the university's concerto competition and performed the Otaka Flute Concerto with the New York Univesity Symphony in 2007 and a year later graduated from NYU with Masters of Music degree. She attended Aspen Music Festival in 2007 and 2008. 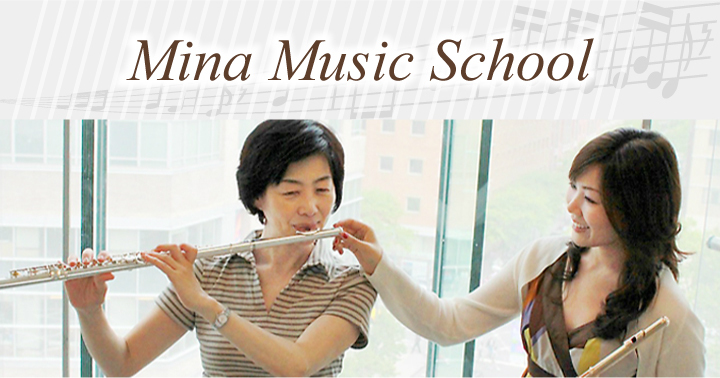 Ms. Kitamura also invests a lot of energy into music education for children. She performed Children's Concert presented by Midori & Friends, and also performed for Composers Guide Education Series at Carnegie Hall. She is a member of "Bateria Trio" which she founded with basist of the New York Philharmonic and violist of the New York City Ballet orchestra. Bateria Trio performs at Trinity Church concert series. She won an Artist International Foundation prize and had a solo recital at Carnegie Hall. In 2009 Ms. Kitamura will perform Mozart Concerto with orchestra in Saga, Japan.